elegant department store of Brown, Thomson & Co."
the corner of Main & Temple without the Ballerstein building. 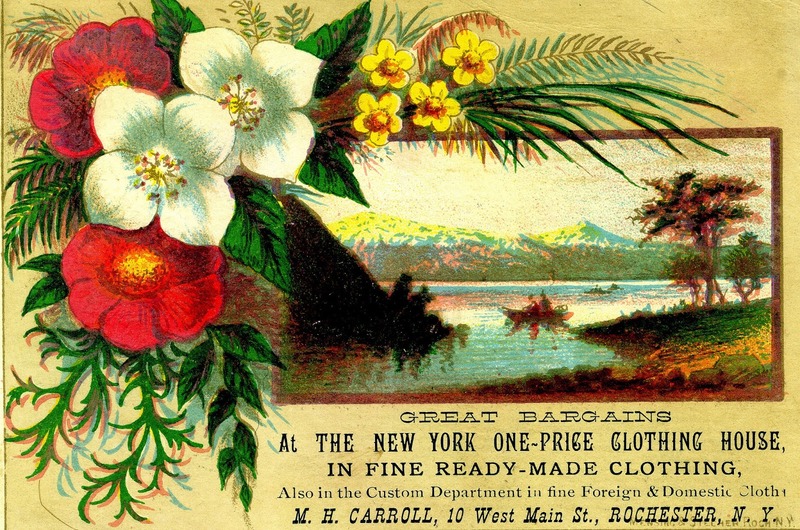 Manufactured in Rochester, NY by James Marden & Co. The present numbering on Rochester's West Main Street would indicate this store had a very famous address in what was then Rochester's tallest building, the Powers Building. Photographers Street View, where I showcase derivative photography from Google Street View. I suspect the only thing that J. A. Burke and M. H. Carroll have in common is that I can't find any information about either of them. Can you? If so, please comment below or email me. Thanks! Working together, I'm sure we can fill in some of the "blanks" in this collection!